Our mouths are full of bacteria – as many as 700 different strains, in fact. As a result, improper and irregular cleaning can cause bacteria to build up, forming a sticky layer known as plaque. This collection of bacteria is one of the main causes of gum disease, triggering a local inflammation that affects the tissue around the teeth, gums and jawbone. While plaque may sound pretty harmless, in reality it is the underlying cause of many unwanted and, at times, embarrassing symptoms: bad breath, changes in taste, swollen or receding gums, bleeding gums and, eventually, tooth loss. Gum diseases – formally known as periodontal diseases – are connected to more than 50 other systemic and chronic illnesses, the two most common of which are diabetes and cardiovascular disease. European CEO spoke to Dr Goran Jovičević, the founder of Zagreb Implant Dentistry, to learn more about the health implications of periodontal diseases and how such conditions can be treated. Why are more people suffering from periodontal diseases? First of all, I want to be very clear and offer words of comfort and encouragement: if you’re suffering from gum disease, you’re not alone. 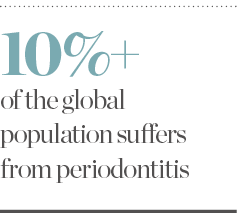 More than 10 percent of the global population has a severe form of periodontitis. One of the main reasons the disease is becoming increasingly prevalent is due to the fact people are unwilling to talk about the problem and seek professional advice, most probably because the symptoms are rather unpleasant to talk about. Unfortunately, periodontitis is a taboo in modern society – here at Zagreb Implant Dentistry, we’re working to change that. To those suffering, you can rest assured that some form of gum disease affects a number of your neighbours, friends and close relatives, so there’s no need to feel embarrassed. As the general population gets older, the number of people affected by periodontitis will only grow. With this in mind, it’s important that people start to talk about the condition and seek treatment. After all, the mouth is an integral part of the human body and a key puzzle piece in overall health. How do you treat patients with periodontal diseases? Treatment depends on the extent of the disease. Sometimes, the inflammation is mild and superficial – this is known as gingivitis. Gingivitis is treated through professional plaque and tartar removal, for which we use power-driven ultrasonic instruments to ensure the procedure is painless. When gingivitis is not treated, however, it can advance to periodontitis, which is a serious infection of the tissues around the tooth. To treat it, we utilise a thorough deep-cleaning method known as scaling and root planing, which ensures the plaque and tartar build-up below the gums – in so-called ‘periodontal pockets’ – is scraped from the root surface. For this, we use a combination of ultrasonic instruments and curettes, which are the gold standard in periodontology. In term of prevention, what can individuals do better? Hygiene is the cornerstone of oral health. At our dental practice, we teach individualised oral hygiene protocols to each of our clients. The condition of our teeth and gums varies from person to person; so should the oral hygiene routine we perform at home. In terms of early diagnosis, bleeding gums should be a red flag. Don’t overlook it or keep your fingers crossed hoping the condition will go away – it can only get worse if you don’t treat it. Remember, healthy gums don’t bleed. What sets your practice apart from others in the industry? I’m a specialist in periodontology, which means I’ve trained for three additional years to provide area-specific surgical and non-surgical treatments. 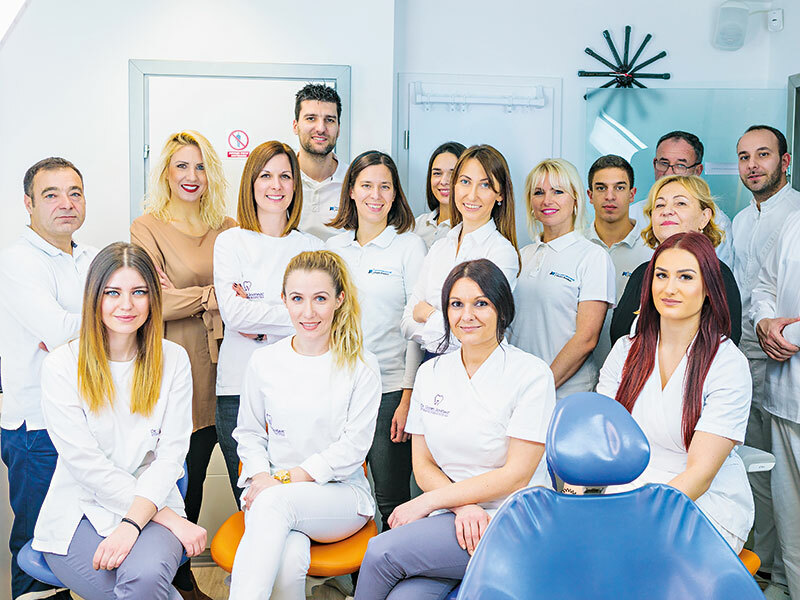 At Zagreb Implant Dentistry, we tailor our treatment plans according to the patient’s needs and systemic health, as well as the extent of the disease itself. I consider myself blessed to work in a practice that provides a whole range of dental services, as it presents me with the opportunity to positively impact patients’ overall oral hygiene. Once we achieve periodontal health, we restore the function of chewing and aesthetics, too. As a result, our patients always leave Zagreb with a healthy set of pearly white teeth.